More and more industries are making use of facial recognition technology. Casinos, law enforcement, social media sites and even upscale hotels use it to verify people’s identity for business or security reasons. 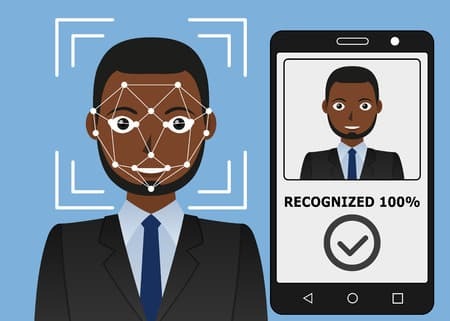 Could facial recognition eventually be used as part of mobile commerce? Based on to recent developments, while that day may not be in the immediate future, it could be coming to a smartphone near you. Respected technology blog 9to5Google recently did an APK teardown of the source code for Android Pay Version 1.22. In doing so, they found Visual ID, a feature which uses facial recognition for mobile commerce. This feature would not be used for actual payments, but to authenticate users at select retailers so they can participate in loyalty rewards programs. Users would create and store a face template while setting up Android Pay. When they visit a participating store, a camera would take a picture and verify their identity with to the stored template. This picture would then be deleted. The feature represents Google’s latest efforts in visual payment authentication. In 2015, they launched the Hands-Free pilot program. This would have allowed users to say “I’ll pay with Google” and combined Wi-Fi, Bluetooth and facial recognition to make a payment. The program was shuttered earlier this year, but it appears the technology is making its way into Android Pay. However, experts have noted that just because the code is there doesn’t mean it will be usable when the software is released. In addition, it requires Bluetooth to detect your location and the presence of a camera in the store, meaning the feature’s availability would be limited. While Google is currently limiting its facial recognition efforts to loyalty perks, Samsung is going full-bore. Bloomberg News reported this past March that the Galaxy S8 will add facial recognition to its available biometric authentication features for mobile payments. Sources stated that, with the need to make a splash after the fiery disaster of the Note 7, Samsung is hoping facial detection for Samsung Pay can help them separate themselves from the competition. Previous Galaxy devices have included facial recognition as an option for users to unlock their phones. But industry insiders are pumping the brakes on this feature’s short-term potential. While facial recognition is more convenient than fingerprint or iris scanners, it is currently easier to fool. At current technology levels, a photograph can often trick scanners. As such, even a Samsung source told The Korean Herald they expect it to be at least four years until the technology is the sole biometric marker for financial transactions. While they expect it will eventually gain mainstream acceptance, it will likely be a secondary certification method until security levels have advanced. A concerted effort is clearly being made to bring facial recognition technology to the mobile payment field. 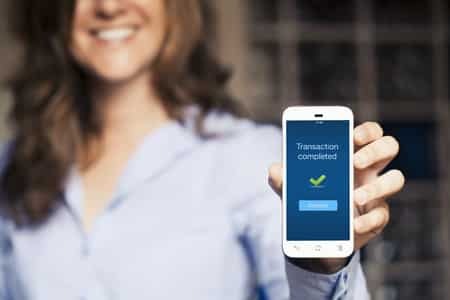 With the convenience of simply having to look at your smartphone to authenticate transactions, it’s easy to see why. But it’s just as clear that additional work is needed to reduce the chances of payment and identify fraud. If you’ve heard more about recent updates in facial recognition, be sure to let us know!